On Sunday, February 15, I am hosting a pre-Mardi Gras celebration for Joe Cain Day. Joe Cain Day is an event that is unique to Mobile, Alabama. It is always celebrated on the Sunday before Fat Tuesday. I have heard about it for decades but only got really intrigued with its origins and traditions in recent years. The more I learned the more fun it sounded. My little get-together is a way of sharing the tradition with my friends in north Alabama. There is no controversy, however, over the origins of Joe Cain Day. Joseph Stillwell Cain (1832-1904) is credited with reviving Mardi Gras in Mobile after the Civil War. It all started in 1866 when he paraded through downtown Mobile in fanciful Native American garb. This act is considered the rebirth of modern Mardi Gras in Mobile. Joe Cain was a Mobile native and as a teenager was a charter member of the Tea Drinkers Society (TDS), a Mobile mystic society that paraded on New Year’s Eve. Prior to the Civil War, pre-Lenten celebrations in Mobile were customarily tied into New Year’s observances. When the Civil War began, Joe Cain was a private in the Confederate Army. When his military service was over he lived for a time in New Orleans and participated in New Orleans Mardi Gras observances. In 1866, when Cain returned to his hometown from New Orleans, he decided to revive Mardi Gras in the city. He and six other members of TDS decorated a charcoal wagon, dressed in Native American garb, and frolicked through the streets of Mobile. Cain led the procession dressed as a fictional Chickasaw chief, “Chief Slackabamarinico,” and declared an end to Mobile’s suffering and the return of pre-Lenten carnival celebrations. Joe Cain’s actions had an impact and led to the city officially moving the culmination of carnival festivities from the New Year’s season to traditional Fat Tuesday. Cain was a founding member of the mystic society called Order of Myths. Order of Myths adopted the emblem of Folly chasing Death around a broken column. This is assumed to be symbolic of the Civil War, a Lost Cause for the rebel South. Cain remained active in Mardi Gras. Later in life, he and his wife moved from Mobile to the fishing village of Bayou La Batre, Alabama. Cain died in 1904 and was buried near Bayou La Batre. 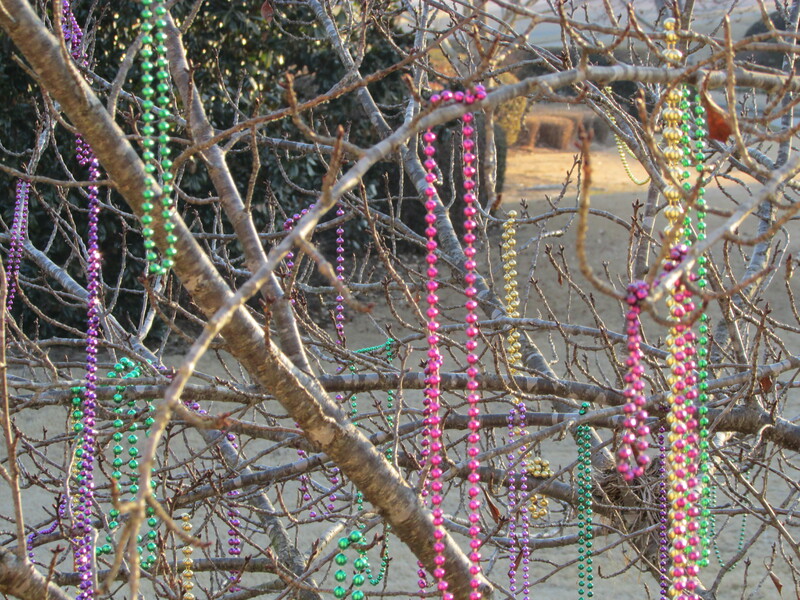 After Cain’s death, Mobile’s Mardi Gras remained popular but exclusive. The mystic societies had closed memberships. Most of the citizens of the city could only participate as onlookers. The popularity of Cain’s reburial inspired the creation of “Joe Cain Day,” observed on the Sunday before Fat Tuesday. The Joe Cain Day Parade, also known as “The People’s Parade” because anyone may participate (although it eventually became so big that the number of participants had to be capped), is led by a person chosen to dress as Chief Slackabamarinico. The parade concludes at Church Street Cemetery where revelers dance atop Cain’s grave. Throughout the day, a mystic society of mourning-clad women known as “Joe Cain’s Merry Widows” wail over the loss of their beloved Joe Cain and declare “He loved me best!” The Merry Widows wail at the grave, toast the deceased from the front porch of his house on Augusta Street, and ride in a place of honor in the Parade. In 2003, another all-woman mystic society, “Mistresses of Joe Cain,” appeared. The Mistresses are also veiled, but dress all in scarlet and proclaim that “Of course he loved us best!” They parade alongside the vehicle carrying the Widows in the Parade, taunting them along the route and creating a general caterwaul. Rumor has it that still another all-woman mystic society might be in the works that will be Joe Cain’s “ladies of the evening” – or some more earthy variation. In any case, Joe Cain Day in Mobile is a great representation of the silliness and release of the Mardi Gras season. This entry was posted in Joe Cain Day, Mardi Gras, Mobile and tagged Alabama, culture, Joe Cain, Joe Cain Day, Mardi Gras, Mobile, southern culture, the south, travel on February 14, 2015 by gedwardjourney.